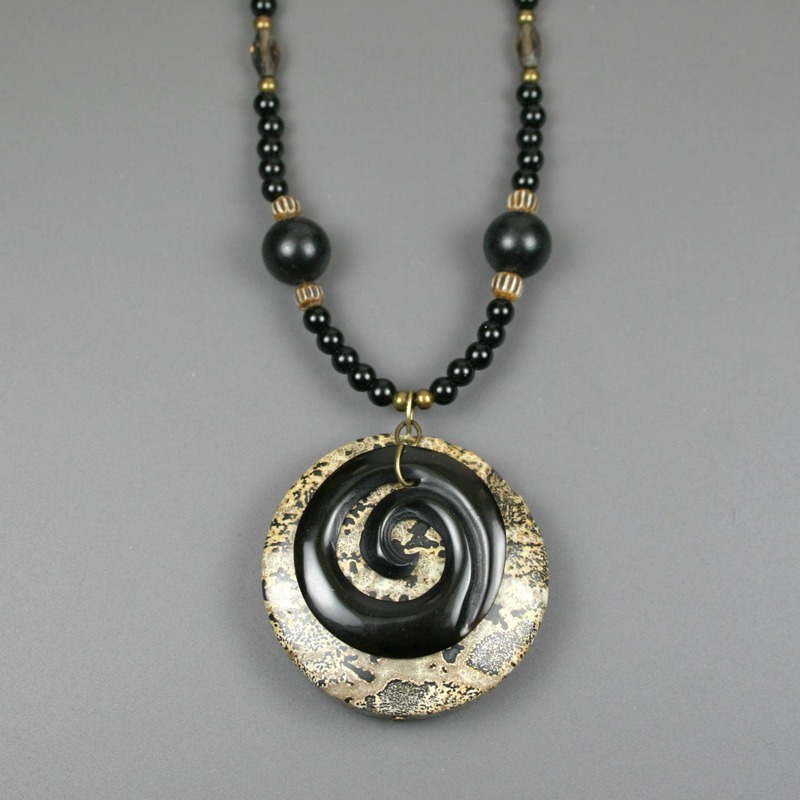 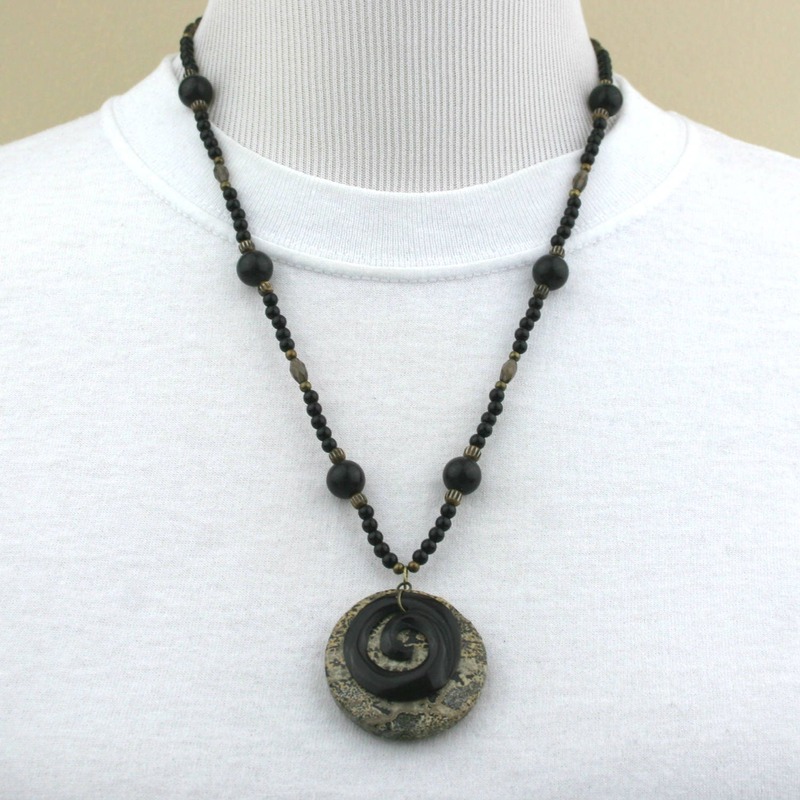 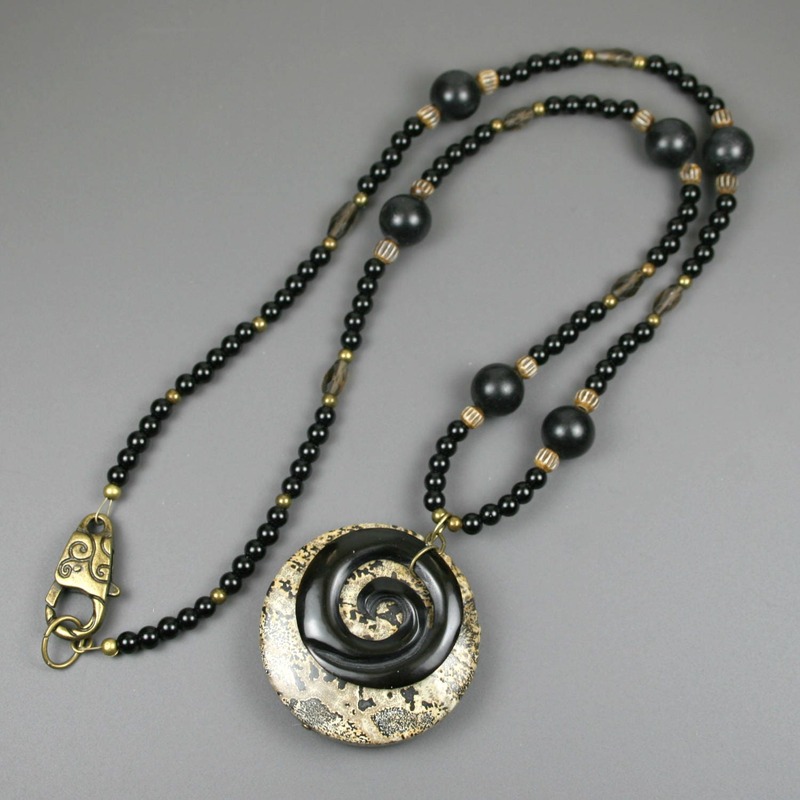 This pendant is made from a 30mm round black horn slice carved in a spiral shape suspended in front of a 40mm round light brown and black stone. 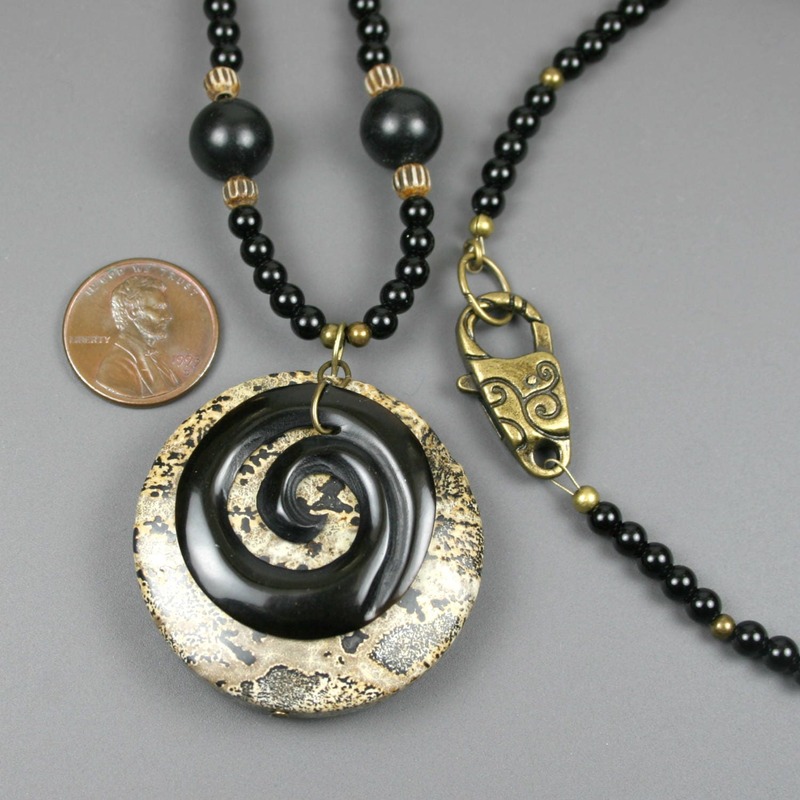 The necklace is strung on wire and is approximately 23.25 inches long and closes with a fancy antiqued brass lobster clasp closure. 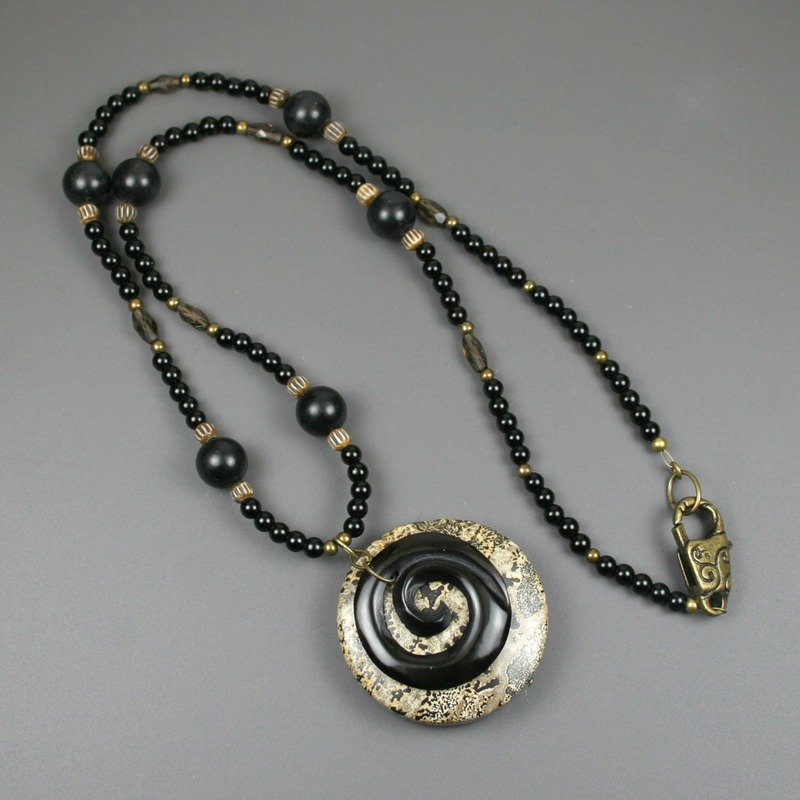 The bone components are byproducts of the food industry.